ROUND FLUES:To attach the Vacu-Stack to relining pipe, just slide the base inside the pipe as far as possible and secure with screws. 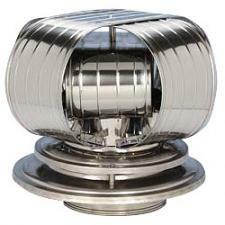 For SOLID-PACK, class-A chimney with sealed ends, push the cap into the sealed end chimney until secure. Silicon the joint where the chimney and cap meet. For air inslulated or (pipe within a pipe) type chimney use the AIR INSULATED CAPS.